They couldn't have been more different — one a teenager from affluent suburbia, the other a little kid from the poor part of the city. But John "Tucker" Mahoney and Shareif Hall would come to share a common experience as random, unsuspecting victims of terrible tragedies. 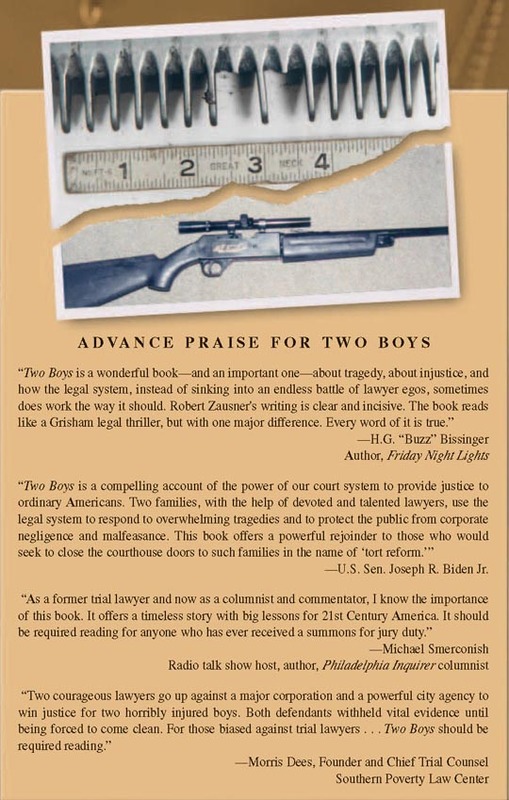 Tucker would be felled by a tiny piece of metal, a BB fired from the powerful, new-generation air rifle he got for his 16th birthday. Shareif, four years old, would be riding a transit system escalator on the day before Thanksgiving, when his brand new Fila shoe would get caught in the contraption's giant metal teeth. The two boys would also share one other thing. The tragedies that befell them were not merely bad luck but the result of wrongful, egregious conduct. Both cases involved "bad actors": the manufacturer who sold some 7.5 million defective PowerLine air rifles (and later refused to remove them from circulation), and the transit authority that failed to properly maintain and upgrade it's moving stairways. The boys' families, powerless to restore health or happiness, could not do much to help Tucker and Shareif. So they did the only other thing they could. They sought justice using the single remedy available to them — the legal system. Partners in the same Philadelphia law firm would represent the families and battle for them against well-known corporate entities: the Daisy Manufacturing Company and the Southeastern Pennsylvania Transportation Authority (SEPTA), a government-related agency. Both would deny they were at fault, one going so far as to conceal and even fabricate critical evidence. The cases would garner sometimes heavy media attention and be unexpectedly pressed to their limits. Intensified by revealing legal discovery and surprising courtroom testimony, the families' long quest for justice would build, inevitably, to dramatic conclusions. 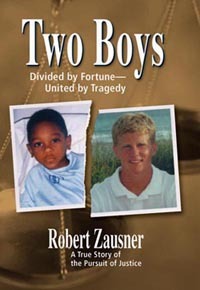 With crisp narration and great fidelity to detail, Robert Zausner's Two Boys tells this harrowing story. We have more $10 million+ results over a 20-year period than any other Pennsylvania law firm, as many as the next three firms combined. We work closely with you to help ensure you receive every bit of legal, medical, insurance and financial assistance to which you are entitled. Seventeen of our attorneys have been named Super Lawyers or “Rising Stars” by the independent rating survey. Tom Kline has been rated No. 1 in PA 15 times in a row and Shanin Specter in the Top 10 year after year. We have an unmatched staff of five doctor-lawyers working full-time for our firm. No other law firm in the United States has as many physicians on staff. We have more than 40 attorneys and a staff of 110 to serve clients. We promptly pair you with an attorney for a consultation and spare no effort or expense in litigating cases. We are leaders in handling serious personal injury & whistleblower cases. When we go to court, we bring an army of skilled attorneys and experts to seek to achieve the best possible verdict or settlement. We care about making things right. In a lot of cases, that means getting you more than just money. Our cases have resulted in safety improvements in medical care, consumer products, mass transit, motor vehicles, public utilities, police conduct and more. We provide free case reviews and we work on a contingent fee basis, meaning we don’t get paid unless you win. Select from one or more categories to find videos of Kline & Specter in the media. Verdict in birth injury case involving oxygen deprivation which resulted in cerebral palsy. Tell us about your case to receive a free consultation today. 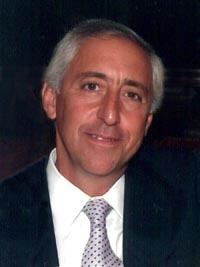 Kline & Specter handles cases in Pennsylvania, New Jersey, Delaware and New York. For cases outside those states, Kline & Specter works with local attorneys in each state as applicable. Kline & Specter, PC only provides legal advice after having entered into an attorney client relationship, which our website specifically does not create. It is imperative that any action taken be done on advice of counsel. Because every case is different, the description of awards and cases previously handled do not guarantee a similar outcome in current or future cases. The firm practices law in New Jersey as Kline & Specter. Super Lawyers, Best Lawyers in America and other organizations that rate attorneys are not designations that have been approved by the State Supreme Courts or the American Bar Association.This website is not intended for viewing or usage by European Union citizens. | Website Designed, Developed, and Optimized by Page 1 Solutions, LLC.